“Since well before the passage of the 19th Amendment on this day in 1920, women have had undeniable influence and leadership in the American experiment. Although many early experiences are undocumented, we know of the deep persistence, strength and faith of those whose stories have been told. Women throughout history have fought for fair treatment, and still, in our age of advancement and technology, we have much to do to equalize opportunities, especially in Utah, which recently ranked 49th in income discrepancy between men and women. 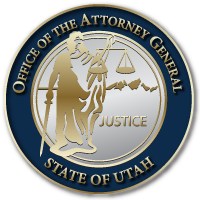 “Utah is impacted for the better each day by many capable women in the Utah Attorney General’s Office, including Chief Civil Deputy Bridget Romano and Chief of Staff Missy Larsen and other professionals throughout the Office. Each is a true public servant and serves the citizens of Utah well. This entry was posted in Archived Posts, Recent Posts and tagged Women's Equality Day on June 27, 2018 .